By: Heath, Sir Thomas L.
Superb scholarly study documents extraordinary contributions of Pythagoras, Aristarchus, Hipparchus, Anaxagoras, many other thinkers in laying the foundations of scientific astronomy. 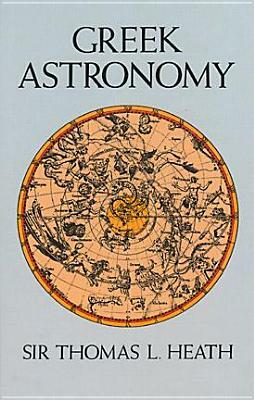 Essential reading for scholars and students of astronomy and the history of science. Accessible to the science-minded layman. Introduction. Author Name: Heath, Sir Thomas L.